Since the end of 2014 is nearly upon us, I thought it would be appropriate to compile a list of ten noteworthy middle grade novels published this year. I will admit that I’ve read only some of these, but those I haven’t are definitely on my must-read list. I hope you’ll add them to your must-read list, too. Enjoy! The eagerly anticipated followup to the Newbery honor winner and New York Times bestseller, Three Times Lucky. Small towns have rules. One is, you got to stay who you are — no matter how many murders you solve. When Miss Lana makes an Accidental Bid at the Tupelo auction and winds up the mortified owner of an old inn, she doesn’t realize there’s a ghost in the fine print. Naturally, Desperado Detective Agency (aka Mo and Dale) opens a paranormal division to solve the mystery of the ghost’s identity. They’ve got to figure out who the ghost is so they can interview it for their history assignment (extra credit). But Mo and Dale start to realize that the Inn isn’t the only haunted place in Tupelo Landing. People can also be haunted by their own past. As Mo and Dale handily track down the truth about the ghost (with some help from the new kid in town), they discover the truth about a great many other people, too. 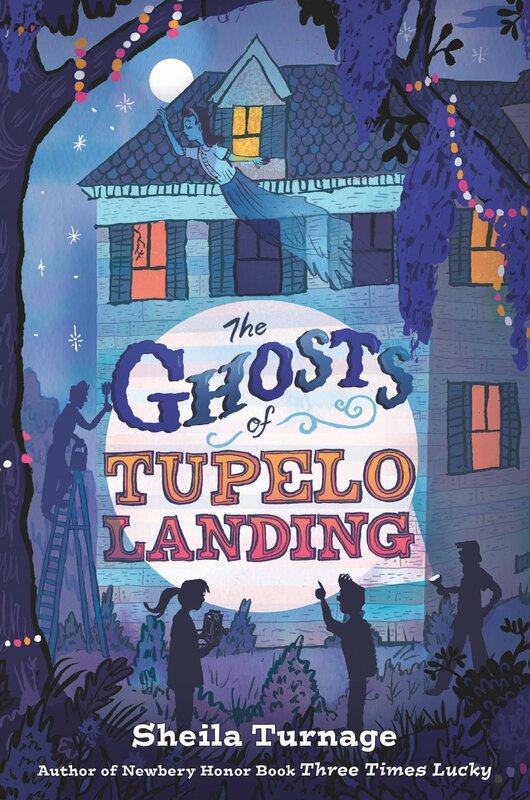 A laugh out loud, ghostly, Southern mystery that can be enjoyed by readers visiting Tupelo Landing for the first time, as well as those who are old friends of Mo and Dale. In this companion to Laurel Snyder’s Bigger than a Bread Box, a leap back in time and an unlikely friendship change the future of one family forever. Annie wants to meet her grandmother. Molly wishes she had a friend. A little magic brings them together in an almost-impossible friendship. When Annie wakes up on her first morning at the Hotel Calvert, she’s in for a big surprise. There’s a girl named Molly in her bed who insists the year is 1937 and that this is her room! Annie’s not sure what happened, but when she learns that Molly’s never been outside the hotel, she knows it’s time for an adventure. 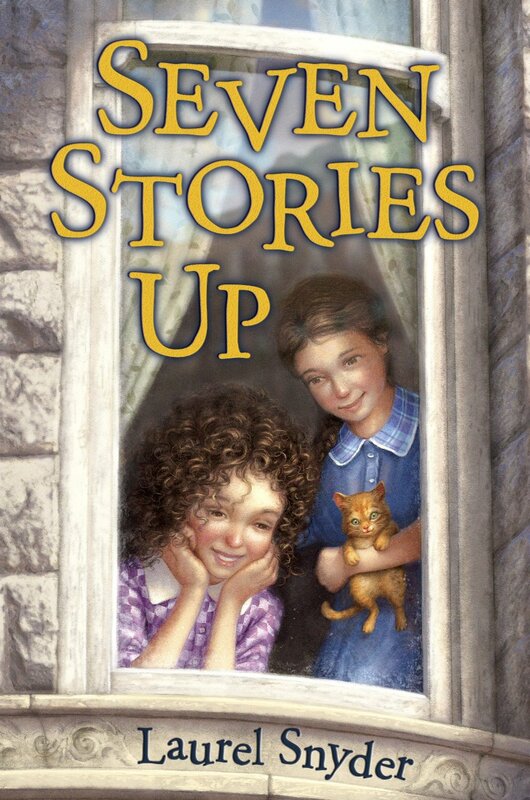 Magic, fortune-telling, some roller skates, a rescued kitten, and the best kind of friendship make up the unforgettable story of two girls destined to change each other’s lives. 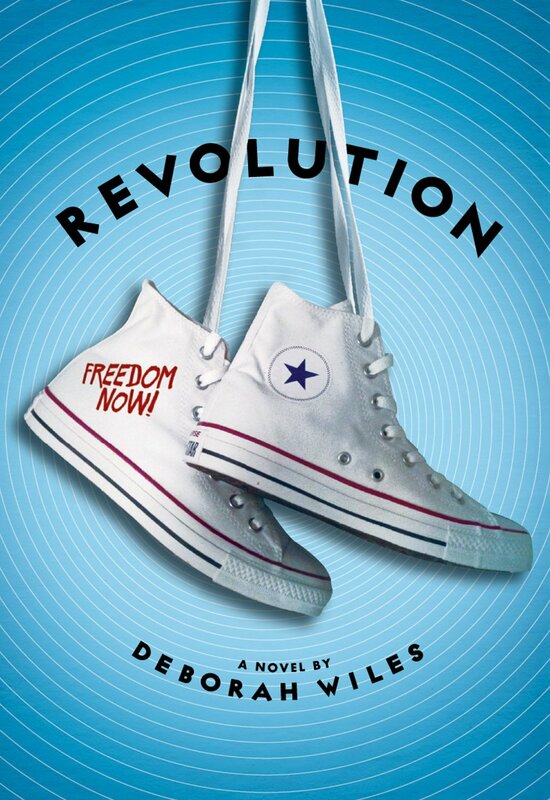 As she did in her groundbreaking documentary novel COUNTDOWN, award-winning author Deborah Wiles uses stories and images to tell the riveting story of a certain time and place — and of kids who, in a world where everyone is choosing sides, must figure out how to stand up for themselves and fight for what’s right. 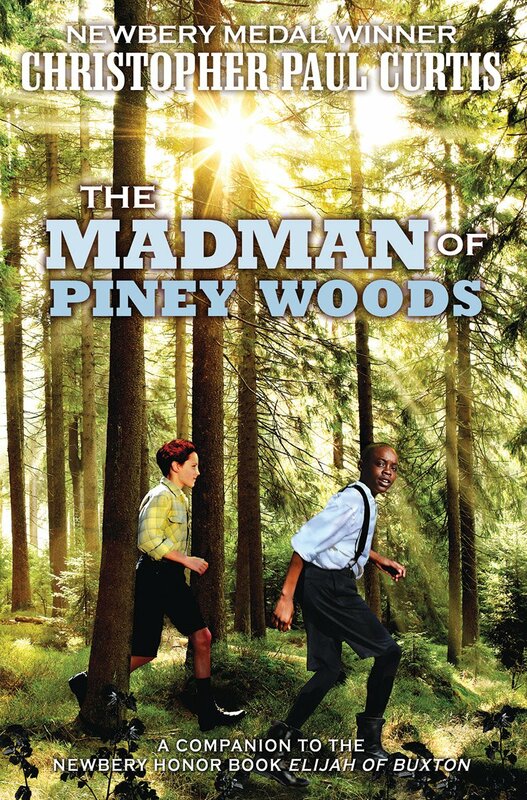 Bestselling Newbery Medalist Christopher Paul Curtis delivers a powerful companion to his multiple award-winning ELIJAH OF BUXTON. In a tale brimming with intrigue and adventure, Christopher Paul Curtis returns to the vibrant world he brought to life in Elijah of Buxton. Here is another novel that will break your heart — and expand it, too. The Boon family story and their indefatigable gallows humor are Benny Lindelauf’s literary memorial to those persecuted by history. 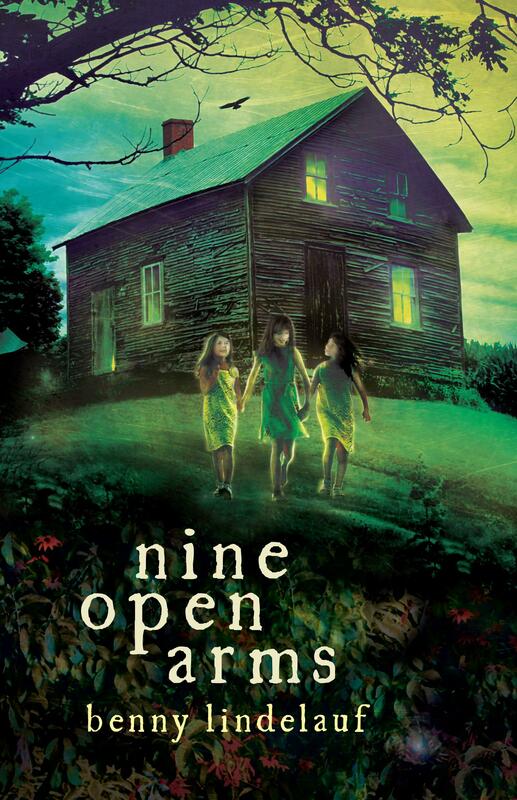 A ghost story, a fantasy, a historical novel, and literary fiction all wrapped into one, this highly awarded novel for young readers begins with the Boon family’s move to an isolated, dilapidated house. Is it the site of a haunting tragedy, as one of the daughters believes, or an end to all their worries, as their father hopes? 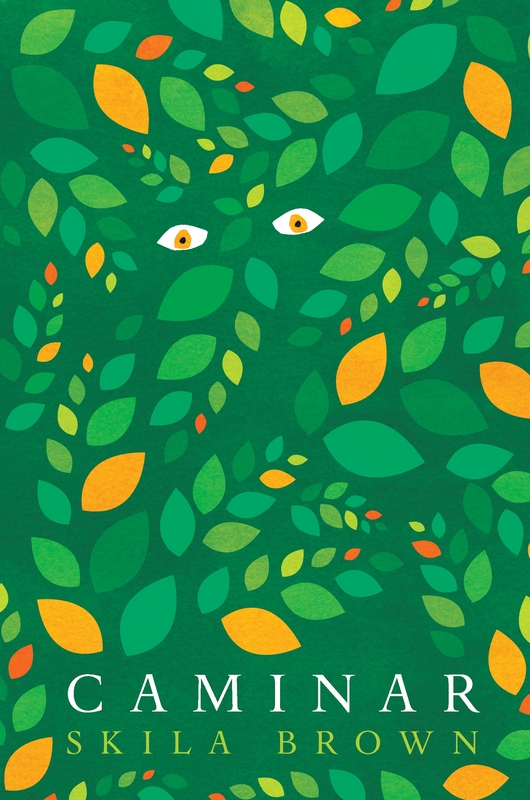 The novel’s gripping language, enriched by Yiddish, German, and Dutch dialect, plunges the reader into the world of a large, colorful, motherless family. 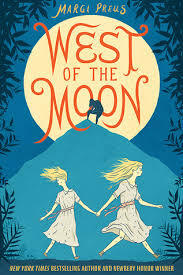 In West of the Moon, award-winning and New York Times bestselling author Margi Preus expertly weaves original fiction with myth and folktale to tell the story of Astri, a young Norwegian girl desperate to join her father in America. After being separated from her sister and sold to a cruel goat farmer, Astri makes a daring escape. She quickly retrieves her little sister, and, armed with a troll treasure, a book of spells and curses, and a possibly magic hairbrush, they set off for America. With a mysterious companion in tow and the malevolent “goatman” in pursuit, the girls head over the Norwegian mountains, through field and forest, and in and out of folktales and dreams as they steadily make their way east of the sun and west of the moon. “Amira, look at me,” Muma insists. “The Janjaweed attack without warning. Finally, Amira is twelve. Old enough to wear a toob, old enough for new responsibilities. And maybe old enough to go to school in Nyala– Amira’s one true dream. But life in her peaceful Sudanese village is shattered when the Janjaweed arrive. The terrifying attackers ravage the town and unleash unspeakable horrors. After she loses nearly everything, Amira needs to dig deep within herself to find the strength to make the long journey– on foot– to safety at a refugee camp. 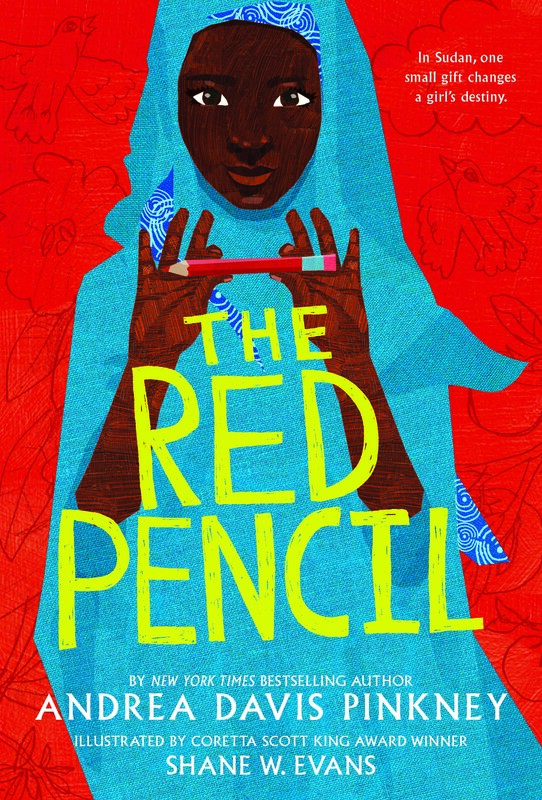 Her days are tough at the camp, until the gift of a simple red pencil opens her mind– and all kinds of possibilities. New York Times bestselling and Coretta Scott King Award-winning author Andrea Davis Pinkney’s powerful verse and Coretta Scott King Award-winning artist Shane W. Evans’s breathtaking illustrations combine to tell an inspiring tale of one girl’s triumph against all odds. 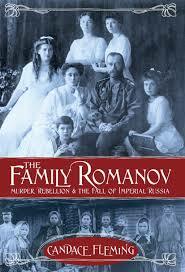 Here is the tumultuous, heartrending, true story of the Romanovs—at once an intimate portrait of Russia’s last royal family and a gripping account of its undoing. Using captivating photos and compelling first person accounts, award-winning author Candace Fleming (Amelia Lost; The Lincolns) deftly maneuvers between the imperial family’s extravagant lives and the plight of Russia’s poor masses, making this an utterly mesmerizing read as well as a perfect resource for meeting Common Core standards. 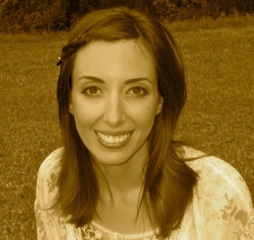 Laura Golden is the author of EVERY DAY AFTER, a middle grade novel about a young girl learning to let go and find her own way amidst the trials of the Great Depression and STANDING TALL ON MULBERRY HILL, her second middle grade novel about Klan uprisings and true friendship beyond color lines in segregated 1949 Birmingham, Alabama. Find out more about Laura and her books by visiting her website or chatting with her on Twitter. Watch a Historical Novelist in Action! One of Oregon’s PBS TV series, Oregon Art Beat, kindly spotlighted me in their October 30 episode. 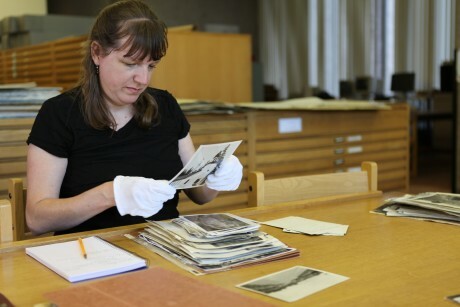 The show’s producer, Katrina Sarson, was intrigued by my historical research process, so she and her crew filmed me poring over historical photographs and documents in the Oregon Historical Society‘s research archives, wandering the historical sites that appear in The Cure for Dreaming, and surrounding myself in research books. They also included a teen actress reading scenes from my latest release. Many readers ask historical novelists, “How much research do you need to conduct for your books?” I hope this nine-minute glimpse into my working life answers some of those questions about what it takes to write historical fiction. 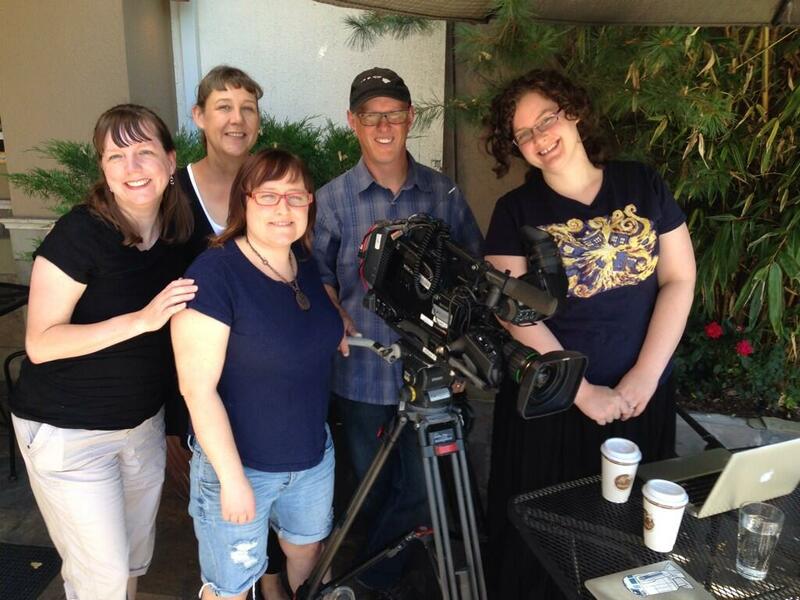 Filming at my weekly coffee/writing session with fellow Oregon YA authors. (From left) Me, Teri Brown, Kelly Garrett, videographer Todd Sonflieth, and Miriam Forster. Producer Katrina Sarson setting up for an interview of me at Portland’s White House. 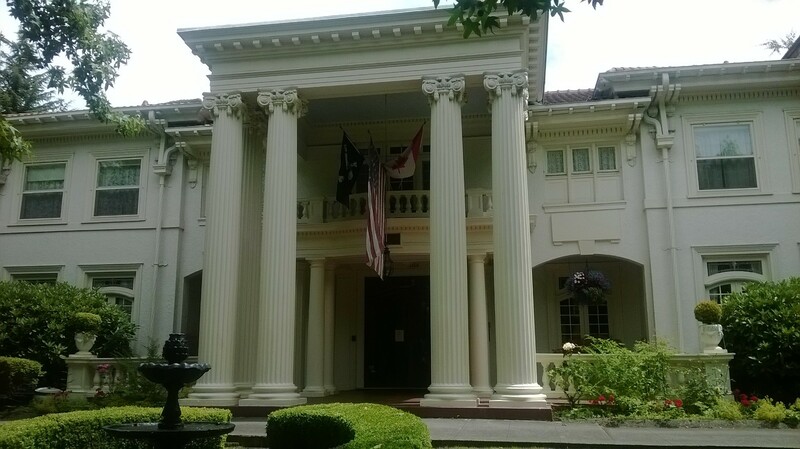 The exterior of Portland’s White House, which filled in for my far-less-grand house during the interview. Note from Jess: Today we’re welcoming Kimberley Griffiths Little to the blog for a guest post about her debut, FORBIDDEN. My love of all things ancient and Middle Eastern began more than 15 years ago with a fascination of belly dance. The dance is intriguing, mesmerizing, and mystical – and when I took lessons I was hooked! 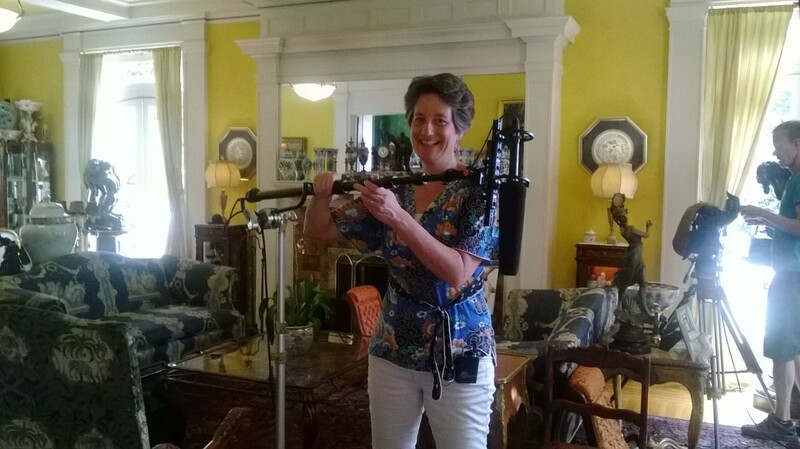 I even performed – and, as a mother with three teenage sons, that was a little scary. Anciently, girls learned the dance at their mother’s knees, using it for childbirth (early Lamaze! ), betrothals, weddings and death. Reading the history of belly dance led me to the dance’s roots that go back to our Neolithic heritage and the Mother Goddess—sexual fertility rites—culminating in the Goddess temples of Ashtoreth in Mesopotamia. I was also researching the history of the Arabian horse and published several stories with Cricket magazine—which led me to the Frankincense Trail, Petra (Edomite Lands before it was Nabatean during the Roman Era), Bedouins, camel caravans, and the Empty Quarter. My imagination began to *stalk* a girl from 1759 BC**, and the story of Jayden began to form, the girl of a poor desert family pressured to marry the prince of her tribe in order to save her family from ruin. Of course, I had to use a mysterious boy wounded in a caravan raid, who lives in the frankincense lands where people would kill to find the location—because frankincense was worth more than gold. There’s murder, blackmail, loss, and love, but at its heart FORBIDDEN is the story of a girl trying to stay alive as her family is torn apart. 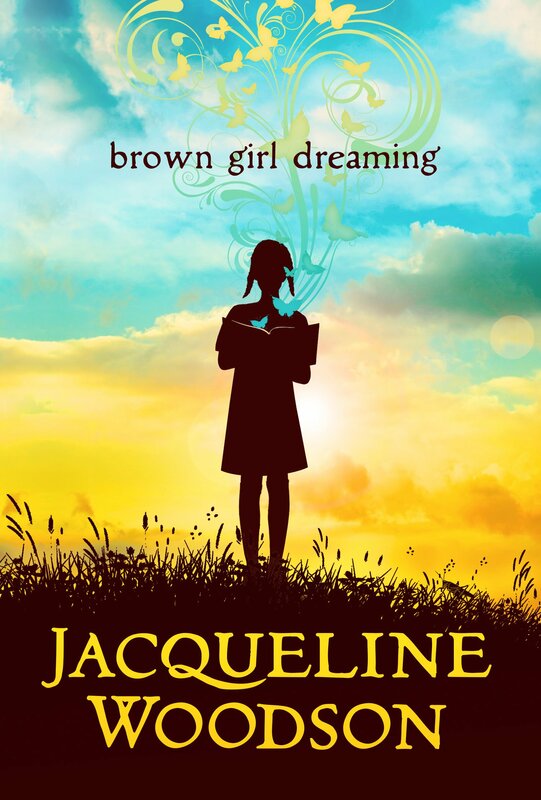 A girl who is trying to keep the promises she made to her mother on her death bed. **I chose the year 1759 BC because King Hammurabi, eager to expand his Kingdom of Babylon laid siege to the city of Mari that year—and Jayden finds herself in the midst of the city’s turmoil when she goes there to find her missing sister. 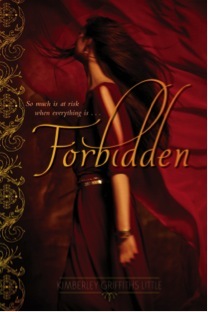 Check out FORBIDDEN’S book trailer, which was filmed on location! A little over a year ago I was traveling down the King’s Highway—the infamous road that was barely a trail thousands of years ago as frankincense caravans followed the ancient water wells. 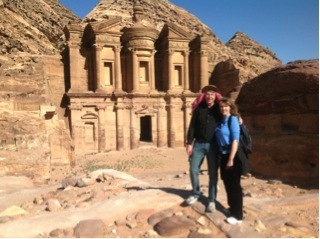 Jordan is the heart of the Middle East, and once the pearl of the Assyrian Kingdom. It is a land of vast desert sands, punctuated with towering, rugged mountains. 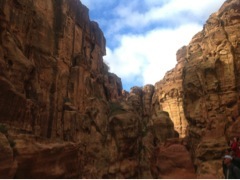 The red rock canyons and high cliffs of Petra created an ideal natural fortress for a city on the exotic spice trade route. 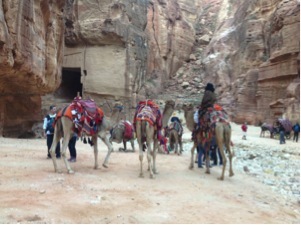 The country of Jordan is a mystical, magical place. Truly there were moments when I thought I’d stepped back in time, glimpsing spirits from the past as we explored their ruins and tombs and found shards of pottery, and coins. 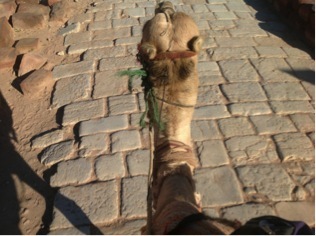 I’m sitting on top of this camel having a blast! 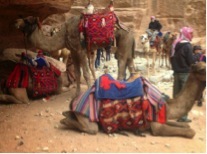 The Bedouin people are very friendly – and so are the camels who loved our hands-on attention. They had a grand time – and so did I. 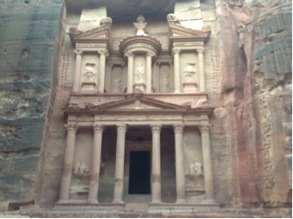 This is called The Treasury. I’d been working on the storyline of FORBIDDEN for nine years by that point, and Petra was a locale I used in a pivotal, very romantic scene. 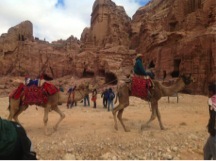 An adorable Bedu girls who lives at Petra. 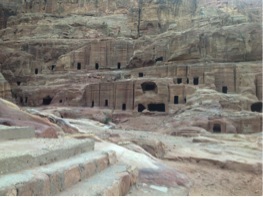 The people of Petra still live in many of the 5,000 caves in the red rock valley. We got an invitation to return three months later for a wedding, invited by the young man who proudly showed us his cave that he’d decorated and prepared for his bride. 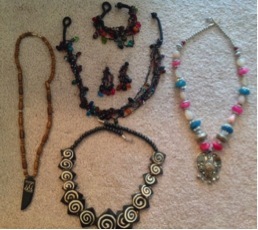 Jewelry I purchased from the darling Bedouin women at Petra. The bottom two pieces are made from camel bone. In the unforgiving Mesopotamian desert where Jayden’s tribe lives, betrothal celebrations abound, and tonight it is Jayden’s turn to be honored. But while this union with Horeb, the son of her tribe’s leader, will bring a life of riches and restore her family’s position within the tribe, it will come at the price of Jayden’s heart. I grew up in San Francisco, but now live in an adobe house on the banks of the Rio Grande with my chaotic, messy family. I think I’ve drunk so much Land of Enchantment water that some of that ancient magic got into my blood and now spurts out my pencil—I mean ergonomic keyboard. I also tend to make way too many chocolate chip cookies when I’m revising. I’ve stayed in a haunted castle tower room at Borthwick Castle in Scotland, sailed on the Seine in Paris, walked the beaches of Normandy, ridden a camel in Petra, sunbathed on Waikiki, shopped the Grand Bazaar in Istanbul, and spent the night in an old Communist hotel in Bulgaria. Throughout history, it might have been good to be King, but that didn’t necessarily spare you from suffering the maladies of the day. As part of my research in historical fiction, I’ve encountered illnesses in my principal historical figures which were messy, malodorous, and often impossible to work around. But if these illnesses made my life difficult as a historical fiction author, imagine how challenging they made life for the monarch in question—or, much more so, for their servants and retainers. Known for centuries (somewhat incorrectly) as the “disease of kings”, gout is a particularly painful type of arthritis caused by a buildup of uric acid crystals in the joints. This buildup results in inflammation, usually in the feet (though it can also appear in elbows, fingers, etc. ), and can be mind-bogglingly painful. Flare-ups can last for several days, during which time the slightest touch of a bedsheet against your big toe can make you want to chop off someone’s head. Considering that King Henry VIII, one of history’s most famous figures, suffered this disease, which can be caused/made worse by the consumption of alcohol, shellfish and organ meats, no wonder beheading was his execution style of choice. Other famous figures who suffered from gout: Charles V, Queen Anne of England, Louis XIV of France, Leonardo Da Vinci, Benjamin Franklin, and Sir Isaac Newton. Hemophilia is a blood disorder characterized by the inability to properly form blood clots. As a result, any small cut or internal hemorrhaging after even a minor bruise can be fatal. 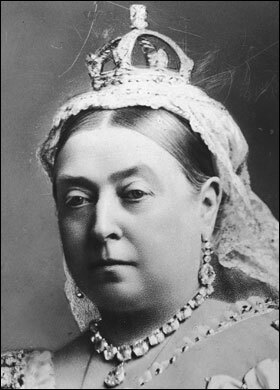 The disorder became known as the royal disease after several of Queen Victoria’s descendants were diagnosed with hemophilia. One of Queen Victoria’s sons, Leopold, died from a cerebral hemorrhage after a fall; and, while the Queen’s daughters, Anne and Beatrice, did not show evidence of the blood disorder themselves, they carried the disease into many of the royal families of Europe. Through Queen Victoria’s descendents, other royal victims of this disease included: Alexei Nikolaevich-Tsarevich of Russia, Prince Friedrich of Hesse and by Rhine, Prince Waldemar of Prussia, Lord Leopold Mountbatten, Prince Heinrich of Prussia, and Prince Alfonso of Spain. When blood can’t flow freely throughout the body, your cells don’t receive the oxygen and nutrients they need to survive. As a result, those cells and the body tissue they make up can die. This process of healthy live tissue sickening and dying is known as gangrene, and it’s a condition that was a real problem for even the royal classes. Usually the result of an injury that becomes infected, gangrene can also accompany other damaging conditions just to make them even more uncomfortable. 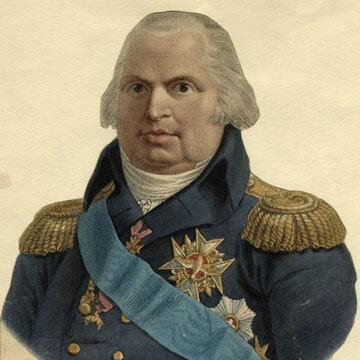 King Louis XVIII of France, for example, suffered not only from gout (there it is again!) and obesity, but also both wet and dry gangrene. That’s right. Gangrene is so nasty that it has sub-categories of misery. Other famous monarchs who suffered from gangrene include: King Herod, King Tut, and Louis XIV. Considering that the infection turns healthy tissue into a “liquid viscous mass”, it’s not a good way to go. Has anybody else noticed how noisy the world is these days? Cars and trains and voices. Video feeds and electronic games. Even at home, alone, with the sound off, we are bombarded with the voices of others–social media, blog posts, an endless ticker tape of news. And what news it is. Troops sent to Iraq. Murder in Palestine. Flare ups on the borders of countries long suffering animosity. Today is Veterans Day. A day to celebrate the men and women who have served for their countries. A day to thank them all for stepping forward and being willing to risk their lives. It is also a day to remember the fallen. The hundreds of thousands of men and women who have died in service to their countries. Today marks the anniversary of the cessation of hostilities of World War I–the armistice signed on the eleventh hour of the eleventh day of the eleventh month–still less than a hundred years ago. In Britain, the holiday is called Remembrance Day and on Sunday, my husband–an English veteran of the first Gulf War, as well as the conflict in Northern Ireland–attended the Remembrance Sunday parade and services in his home town. He didn’t wear his medals and no one thanked him for his service. He was there in remembrance of his grandmother’s four brothers who died during World War I. Let us honor the men and women who live. Buy them coffee. Give up your first class seat on a plane. Shake a hand and be grateful. But also, let’s take a moment of silence in this noisy, noisy world to remember. History matters because it is not so far out of reach–one generation, two–and because the men and women who serve in 2014 deserve not just to be remembered today, but by the contemporaries of their children and grandchildren. Today, we are creating history, so let’s make our actions worth remembering.